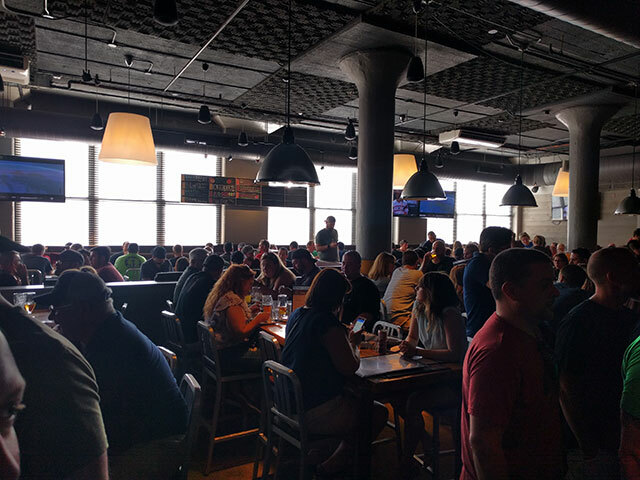 Boston Beer Works: Fenway Park's longest tenured brewpub and tap room. JM, Frank, and I hit up Boston Beer Works before heading over to the Bullpen Kitchen & Tap on Night #1 of Pearl Jam's 2018 Away Shows at Fenway Park. Boston Beer Works has been a cornerstone of the Fenway neighborhood for over a quarter of a century. So, it's experienced a few cycles of local craft beer interest. 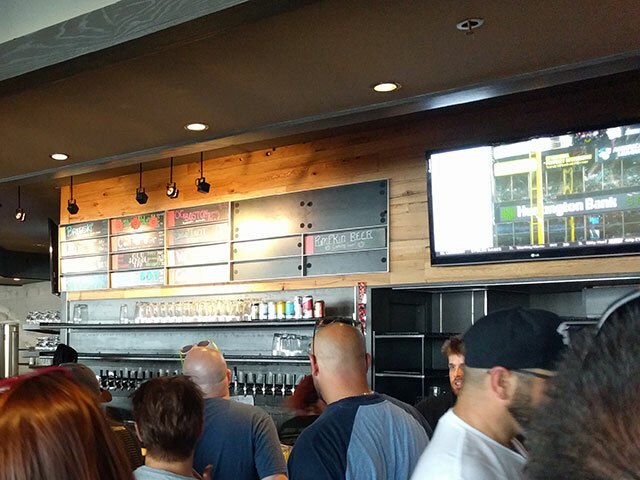 If you're thinking of going to a Sox game, get to Beer Works early. Fans of craft beer! Or, pub nachos I suppose. Where is Boston Beer Works located? The original brewery is just outside of Kenmore Square, next to Fenway Park and Yawkey Station. They have since expanded to Salem, Lowell, Hingham, Framingham, Logan Airport, and another Boston locale down on Canal Street. The Fenway Park location opened in 1992. They just celebrated their 25th anniversary last year. In fan terms, they were around for a decade before the Sox first championship in 86 years. Yes, it is. Beer Works is a fully functioning restaurant that is kid friendly. So if you’re bringing the little ones to meet Wally, stop on by. What types of beer does Beer Works brew? 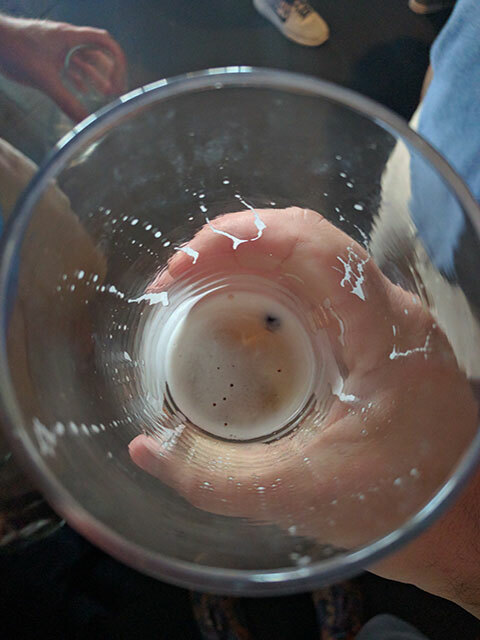 What's left of a Bunker Hill Blueberry Ale ... Blueberries optional! All types. Lagers. Ales. Beer for the masses! Breaking it down, NEIPA, Reds, Wits, Saisons, Pale Ales, IPAs, Stouts, Porters, Shandys, Goldens, and DIPAs. They also serve Pilot Brews and Limited Editions. Sampler racks, Spring racks, Cask Beers, and more for flights. They have a large variety of beer, so you should be able to put together a satisfying selection of 4oz samples. They’d be a losing venture if they didn’t. Imagine serving just beer to future Fenway patrons? I mean, that’s almost criminal. How else will the Pink Hats get their shots of Fireball? Didn’t notice one. Then again, it was a 2018 Pearl Jam Away Show (Night #1). The place was so packed that I didn’t take the time to ask. I’ve seen shirts around, so yeah, they must sell some merch. Does Beer Works serve food? A full menu’s worth of food. The original Boston Beer Works is equal parts microbrewery and Fenway restaurant. It’s possible that they do. Check in with them. Can I buy Beer Works beers in stores? I have never seen it in stores. Line forms to the left on Game/Concert days. Perfect for Sox games, warm summer days, and just about anytime you are passing through Kenmore Square and don’t want to slug down Bud Lights, especially now since The Lower Depths closed.